After freak April ice storms and a delayed spring, we are finally into the summer conditions many of us look forward to. With the sunshine comes days by the water’s edge soaking in the sun and getting active in our great outdoors. If you’re looking to spend the summer near the waterfront, Ontario’s Southwest has got you covered. 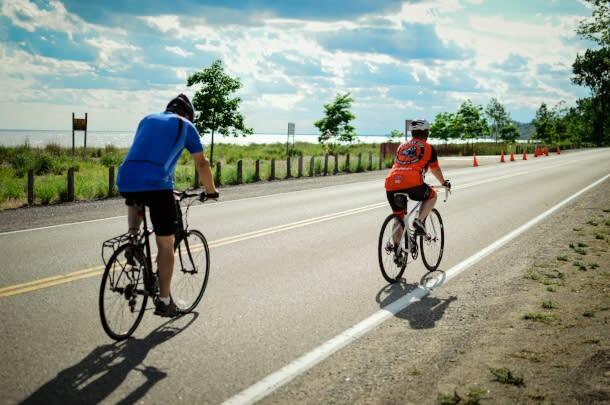 Featuring over 900 kilometers of Great Lakes shoreline and numerous river systems, this region is your destination for all types of active waterfront adventures. It all starts at the beach in Ontario’s Southwest. Anchored by Lake Erie, Lake Huron, and Lake St. Clair, this region is a must visit destination for any beach lover. 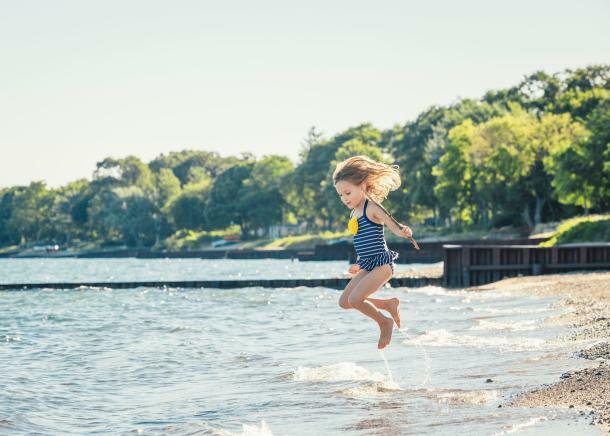 Whether you are looking for quiet family friendly beaches to go for a swim or destinations with watersports and volleyball nets to spend the weekend with friends, you’ll find it in Ontario’s Southwest. To help you discover all that fun in the sun, take a look at these Beach Cheat Sheets filled with local attractions, restaurants, and places to stay & play. For watersports like wakeboarding, parasailing, and fly boarding at our beaches, check out the Wild Watersports highlighted beaches for an adrenaline filled adventure. Is heading inland on serene river system with your paddles more of your idea of waterfront adventures? Then you’ll want to grab your kayak or canoe and hit the waters of the Grand River, Big Creek, or the Thames River across the region. Each one offers its own unique sights and sounds that will please paddlers of all experience levels. Learn how you can best enjoy the Grand River and Big Creek with our Picture Perfect Paddles itinerary. If you want to paddle through the heart of the region on the Thames, we’ve got you covered with write-ups and maps for major sections of the river in London, Middlesex County and Oxford County. For those who want a really unique paddling adventure, Windsor Adventure Inc. has got their amazing Eco Adventures. 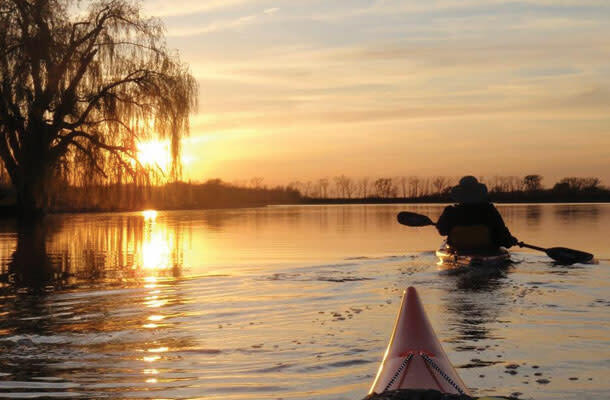 You will join an experienced guide on a group paddle and hike excursion that will take you one of Windsor’s hidden gems – Peche Island. These adventures happen multiple times a week starting in June so you have many opportunities to take part all season. 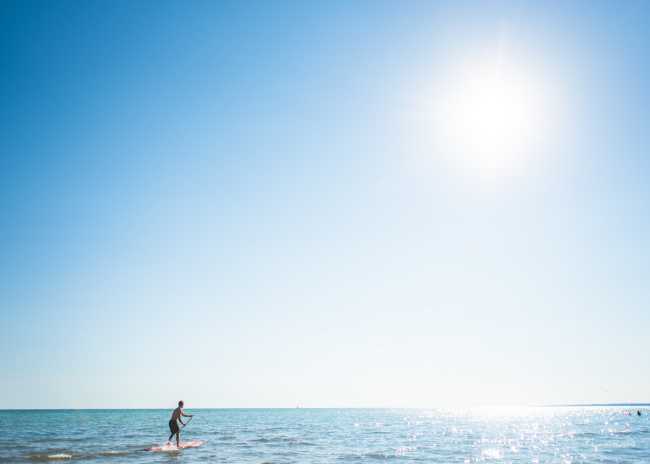 One of the most popular on the water activities in recent years is stand-up paddleboarding, otherwise know as SUP. If you have yet to try it, what are you waiting for? It’s a great recreation activity that lets you go at your own pace and makes for a unique sight seeing adventure. For rentals, LondonSUP has options in the London area as well as right on the beach at Port Stanley. In Norfolk County South Coast Watersports and Turkey Point Watersports are your sources for rentals on the beach. For those heading to Grand Bend, West Coast SUP has you covered for rentals. All this water surrounding, and throughout, Ontario’s Southwest makes it one of the most amazing fishing and boating destinations around. Between Lake Erie, Lake Huron, and Lake St. Clair, fisherman and boaters will be in heaven across our region. 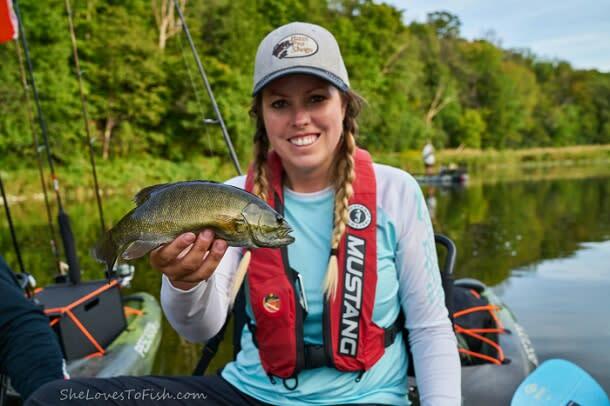 Fish one of the last musky lakes in existence in Chatham-Kent, reel in king salmon or rainbow trout on Lake Huron on Ontario’s Blue Coast, find 80 different species of fish in Haldimand County, and chase smallmouth bass & trophy walleye in Norfolk County. The fishing is just not for the experienced and well-versed, there are fantastic charters at each of the locations mentioned above that will take you out to the best spots, provide the equipment you need, and even help you prepare the fish if you want to enjoy your catch as dinner. One of our favourite, and unique, fishing experiences in the region is kayak fishing with Baer Fishing Adventures. Offering lessons as well as guided adventures on Lake Erie and the Grand River, there’s options for every experience level. This is just a taste of what you will find; download the Waterfront Getaways map for a list of the marinas, charters and fishing spots across the region. Speaking of getting lost in nature, it’s hard to beat sleeping in nature if you’re the outdoors type. Did you know that Ontario’s Southwest has more campsites than hotel rooms? 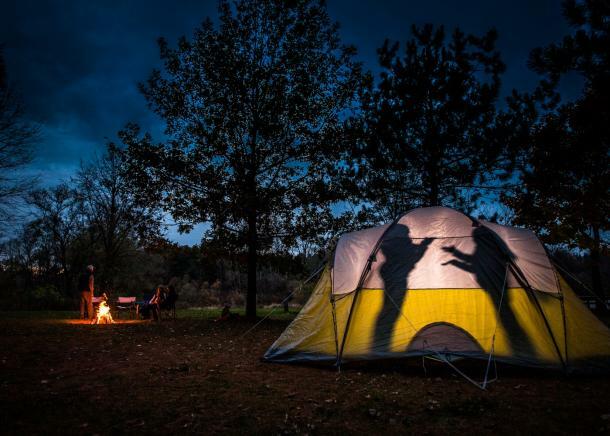 For tent campers, a popular option is always Ontario Parks and we have many great options in our region including Long Point, Rondeau, and Pinery Provincial Park. However, Ontario Parks reservations do fill up early so another fantastic option is to check out one of the many conservation areas. Conservation Ontario locations like Byng Island, C.M. Wilson, and Fanshawe Conservation are fabulous options. If you’ve always wanted to try camping before you invest in the equipment, check out Pittock Conservation Area’s Step into Nature package. They’ll set you up for two nights in a campsite with a tent, firewood, and even some canoeing. There’s many private campground options too in Ontario’s Southwest, including locations for trailers. To find locations, including vacancies, take a look at Camping in Ontario. Now, if you want to experience a more luxurious take on camping, then you’ve got to try glamping or cabin options. We’ve rounded up our favourites in one list so you can look past the tents. There&apos;s nothing like experiencing the scenic lake views and the wilderness on two wheels in Ontario&apos;s Southwest. Whether you’re looking for a smooth cruise on a multi-day route or an off-road rip down a single or double track trail, our downloadable cycling guides make it easy to plan a great ride and locate nearby restaurants, accommodations and activities. Lace up and get lost in the beauty of the great outdoors on the vast network of trails across the region. Since there’s so many to choose from, we’ve pulled together a number of our favourite trails in the Eastern and Western parts of the region. 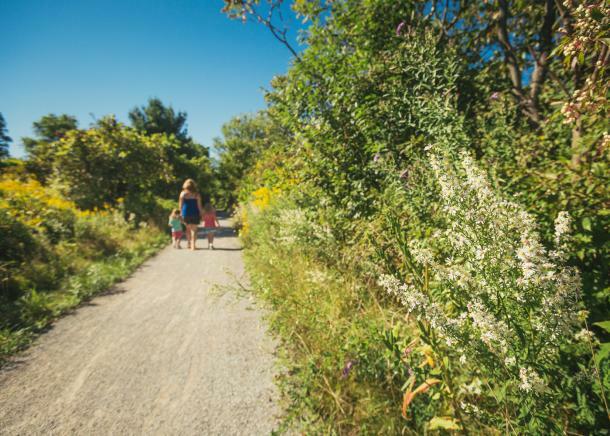 Full a full interactive map of hiking trails available in southwest Ontario, be sure to take a look at Ontario Trails. Now that you’ve got the low down on all these great outdoor adventures, be sure to take a peek through these Experiences to add even more fun to your visit.